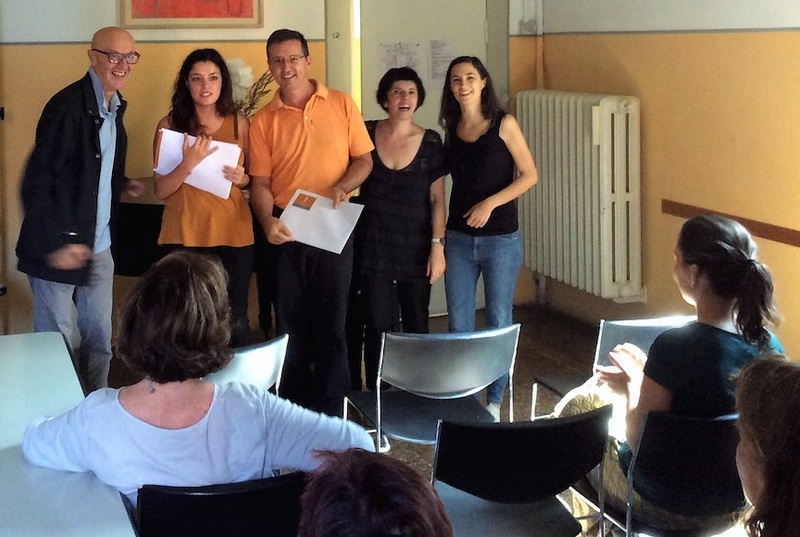 Eat, pray and learn Italian | Walk with us! 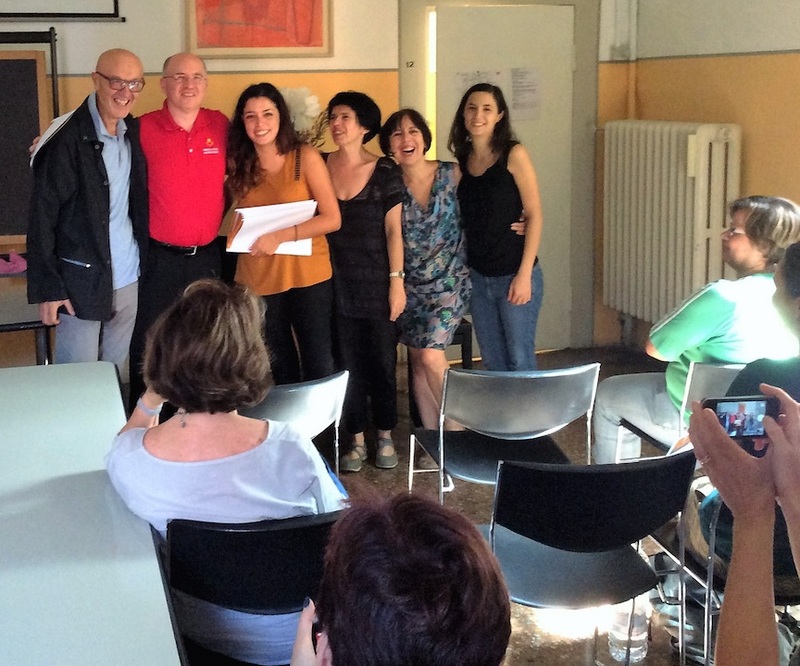 After six weeks of Italian language studies at Cultura Italiana in Bologna, I received a certificate and report card. It has been a while since I’ve been graded! It showed that I have made good progress in the short time here, but also have so much yet to learn. Fr. Steve’s classmate and fellow general councilor, Fr. Carlos Enrique (center), receives his graduation certificate. There have been five SCJs studying here. Fr. Heiner, our superior general, has been brushing up on the Italian he already knows because he will often need to represent the community in public, and wants to speak and write well. Fr. Carlos Enrique and I will serve on the council, and Frs. Loc and Quang from the Vietnamese District will begin graduate studies in Rome next month. 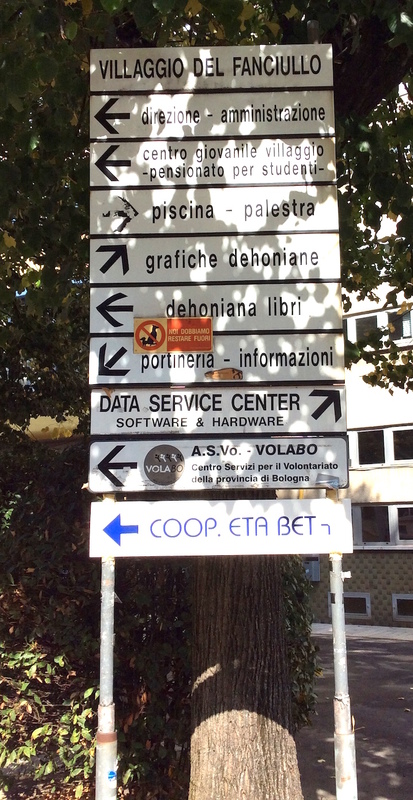 The SCJs have two communities in Bologna. One is near the historic center of town but I stayed at the one a bit outside the original stone walls that encircled the city. The walls have come down, but the ancient gates remain standing at each of the main roads into town. The trip to school is about a mile-and-a-half and takes 15 minutes by bike (a half hour on foot). The class size was limited to a maximum of 12 to guarantee better interaction with the teacher and other students. We had a two-hour grammar class and an hour-and-a-half of conversation class. Each week there were cultural tours and talks (in Italian of course) to help students get to know the city and its history. I also added individual lessons. One on one with a teacher pinpoints my strengths to build on and exposes areas needing improvement. The school includes an interesting mix of students. Many are in their early 20s, preparing for studies at the university. The middle-aged folks are often here for just a week on a learning and cultural vacation. They particularly seem to gravitate to the optional evening Italian cooking class. My only time in the kitchen was helping wash dishes in the community house. Some folks like me who are preparing for work are in school for a longer time. I have enjoyed exploring Bologna, a city about the size of Milwaukee. The university here is one of the first in all of Europe, with over 100,000 students. When I arrived in August during vacation, the streets were empty. As classes get set to begin the streets are now crowded with bicycles and pedestrians. St. Dominic is the saint associated with the city but the patron of the city is St. Petronio, an early bishop who shaped the development of the city and its people. While all of Italy celebrates the Feast of St. Francis on October 4, here in Bologna they postpone it until the next day since Petronio takes precedence. I am impressed by the work of the Northern Italian Province. The complex in Bologna is huge, and they have changed with the times. Half of the building that used to be our seminary is now a residence hall for university students. 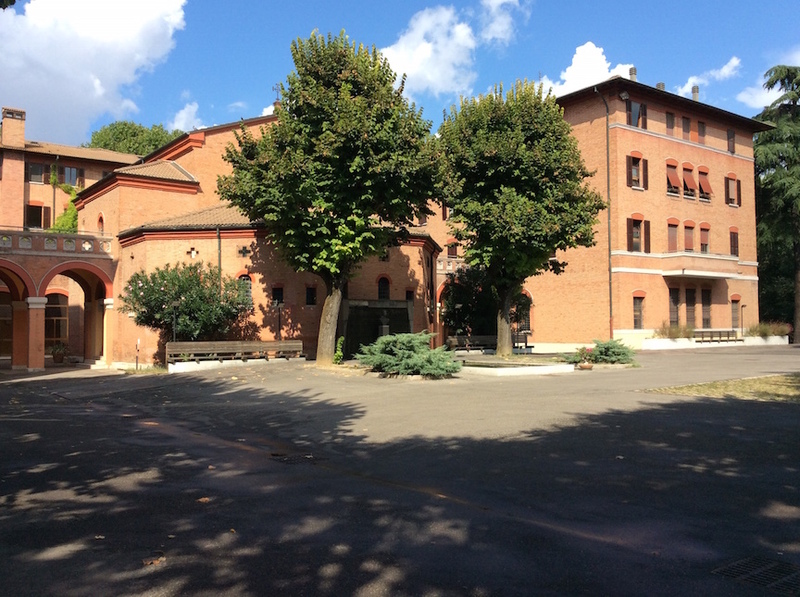 Villagio del Fanciullo was constructed after WWII to house the many orphans in the war’s aftermath. Some generous help came from US donors, and the community got advice and support from Fr. Flanagan of Boys Town on what type of programs were helpful. Today’s young people in residence have fled difficult situations in Africa and the Middle East. The building also houses a technical school, which teaches skilled trades like welding and being an electrician. There are day care programs, after school programs, and an organization specializing in working with reading disorders such as dyslexia. A host of volunteer groups call the campus home, and SCJs and others offer counseling services for families and individuals. The community of 15 is a mix of Provincial Council and staff, and those who work in the adjacent parish, local hospitals, and engage in youth work. 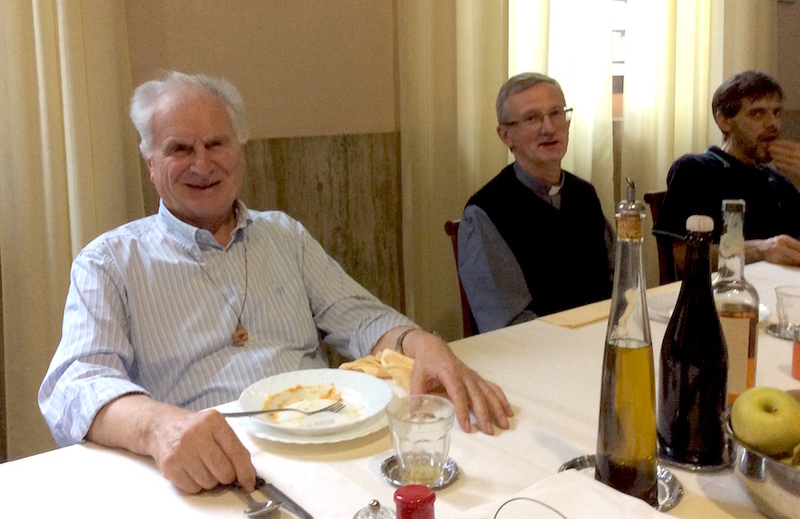 There are a few professors emeritus in the house and meals allow for interesting discussions in moral and dogmatic theology, scripture and spirituality. But the discussion really gets animated when the guys start talking about Calcio (our soccer). With five or six Italians all talking at the same time with hands gesturing passionately, it is a challenge for me to follow and understand. In time. As they keep saying, slowly and gradually, “piano e piano”. Which way? The SCJ property hosts a number of organizations and communities. We pray morning prayer in the parish church, followed by Mass. My first task was to keep up with the pace and pronounce the words as close to the original as I can. After a few weeks I’ve taken the more important step of starting to understand the words I am praying. When I can’t rush through scripture and have to take my time to learn the meaning, it does open me to a newer and fuller understanding of our faith. I have been able to visit a few of the other communities. I particularly enjoyed Mass at the SCJ retirement home, where about half of the 18 members came into chapel in wheelchairs. Many dedicated themselves to overseas missions in Africa and South America. It’s in the Trentino region, with sheer mountain cliffs rising from the river valleys lush with grapes and apples. We finished our time by participating in the ordination of Marco Mazzotte in his hometown 50 miles to the east. I was surprised how much the ordaining bishop spoke about Fr. Dehon and our spirituality. Afterwards I learned he was a religious (Salesian) himself. The pride of his family and the community he grew up in was lovely. The festive meal afterward was served outside in the courtyard with pizza, pasta, and many different kinds of treats and sweets that I don’t yet know the names to. It is a reminder that as I head back to Rome, my studies and learning will be an ongoing process.